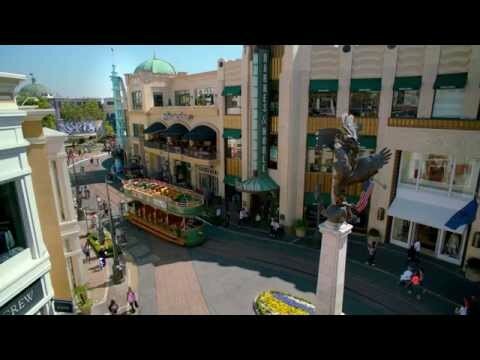 At the entrance of Universal Studios Hollywood℠ with spectacular views, great dining. AAA Four Diamond Award & Green Seal Gold level certified. Hilton HHonors rewards, packages and seasonal promotions available. Successful Meetings’ Pinnacle Award and Smart Meetings’ Platinum Award recipient. Nearby metro red line and one stop from Hollywood & Highland. Complimentary shuttle to and from CityWalk and theme park (schedule fluctuates). Short drive to Dodger Stadium, Hollywood Bowl, Dolby Theatre and STAPLES Center. Our King bed guest rooms are beautifully decorated with maple woods and showcase stunning views of the Hollywood Hills and Universal Studios. Each guest room offers a 32-inch LCD TV, Hilton Alarm Clock Radio, armchair and ottoman, work desk, two-line phones with voicemail and 3 way calling feature, WiFi and hardwired internet connection, in-room safe, coffee maker, free standing refrigerator, iron, ironing board, and an ionic hair dryer. Each guest room incorporates luxurious bath amenities and lush bedding is comprised of an exclusive signature mattress and box springs, Super Topper mattress pad, Touch of Down pillows, 250 thread-count sheets and duvet cover. Our two double bedded guest rooms are beautifully decorated with maple woods and showcase stunning views of the Hollywood Hills and Universal Studios. Each guest room offers a 32-inch LCD TV, Hilton Alarm Clock Radio, arm chair and ottoman, work desk, two-line phones with voicemail and 3 way calling feature, WiFi and hardwired internet connection, in-room safe, coffee maker, free standing refrigerator, iron, ironing board, and an ionic hair dryer. Each guest room incorporates luxurious bath amenities and lush bedding is comprised of an exclusive signature mattress and box springs, Super Topper mattress pad, Touch of Down pillows, 250 thread-count sheets and duvet cover. Our King bed guest rooms are beautifully decorated with maple woods and showcase stunning views of the Hollywood Hills and Universal Studios. Each guest room offers a 32-inch LCD TV, Hilton Alarm Clock Radio, armchair and ottoman, work desk, two-line phones with voicemail and 3 way calling feature, WiFi and Hardwired internet connection, in-room safe, coffee maker, free standing refrigerator, iron, ironing board and an ionic hair dryer. Each guest room incorporates luxurious bath amenities and lush bedding is comprised of an exclusive signature mattress and box springs, Super Topper mattress pad, Touch of Down pillows, 250 thread-count sheets and duvet cover.